This summer will be a summer of “firsts” for me. In July, I’ll meet some of my fellow TMR friends in person for the first time when we attend San Diego Comic Con. After about a year of working together remotely, communicating through group Skype calls, our Facebook group online, or through text, I’ll actually meet many of them in person for the first time in July for San Diego Comic Con. Another first is that I’ll be attending my first press event as well. In college, I majored in communication, and, since high school, I’ve dreamt that one day I would be a member of the press, whether that meant at a White House press conference or reporting live from a sporting event. For SDCC, I’ll be attending as an official member of the press, and I’m so honored to scratch that item off my Bucket List. Lastly, as a lifelong fan of science fiction and superheroes, I have to say that I’m ashamed that I’ve never been to a comic or film convention. To be honest, I’ve always felt as though I would feel out of place while attending the event, but, the more I’ve found myself getting involved in “Geek Culture,” the more I’ve found myself building strong online friendships with strong, intellectual, and genuine people who happen to have a passion for science fiction and the media like I do. It’s my first time going to San Diego Comic Con. What am I doing to prepare? I’m texting TMR co-founder Lauren Gallaway A LOT is what I’m doing! Honestly, though, one of the things that I’ve found is that it’s best to ask people who have been to SDCC any questions you may have. If you haven’t been to SDCC, or are looking into going in the future, one thing to keep in mind is that hotels are ridiculously pricey. Hotels in the area are marked up for the event, and rooms sell out really quickly. The lottery system is also hard to navigate. I immediately went to AirBNB to find a place, and after a few weeks of searching and asking around, fellow TMR reporter Shawn and I found a great condo in the Little Italy neighborhood area of San Diego – not far from the airport and the convention center. We found a really good deal that was made even sweeter when we split the cost. We’ll split the costs of Uber rides and food for the condo that’ll make things cheaper on us, too. Anyone who has ever traveled knows that another major cost is airfare. There’s no real trick here other than knowing when is the right time to purchase the ticket, as well as managing the time you’ll spend at your destination. For myself, I did some research and found that the best time to purchase plane tickets is about 50 days prior to the time you want to leave. I more or less found this to be accurate, but the Kayak App for iOS also has an indicator on it telling you the probability of the price going up or down in the next week. It’s a great tool to take advantage of. I’ve done a little more research in the last week or so, and have purchased a nice, well-made backpack. I plan on packing as light as possible, but I know throughout all the walking around at the event, I’ll have my iPad, camera, notebook for potential autographs, and snacks. I just bought a nice pair of running/walking shoes, too, because I hear that’s important for SDCC considering how much we’ll be on our feet every day. Is this your first time going to Comic Con? What are you doing to prepare? Are you a Comic Con veteran? Share your suggestions in the comments below! 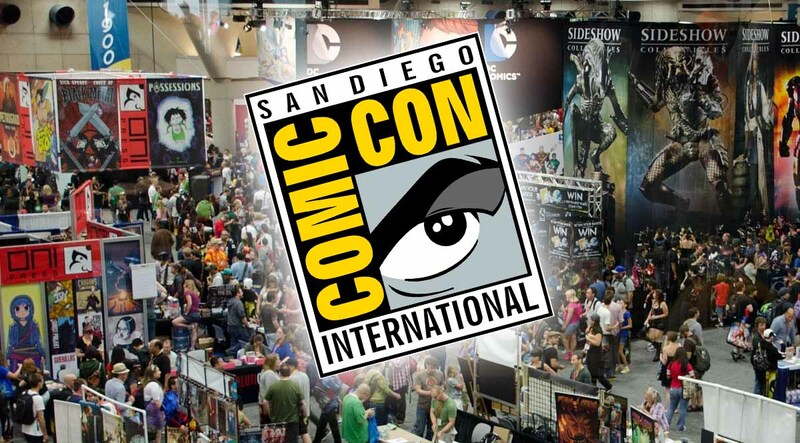 Also, be sure to check out fellow TMR reporter ­­Page’s article about tips for SDCC. I’ll be posting more on my SDCC journey soon, so be sure to stay tuned!